YPTC – What Is His Name? Tell me if you know! The writer of the book of Proverbs asks a series of profound questions to the reader. These are rhetorical questions that a wise person who has studied the Bible should be able to answer without hesitation. Are you knowledgeable enough to forthrightly give the correct answer? What is His Name? The average person would say the answer is “the Lord” or “God.” However, a close examination of the Hebrew texts reveals that these are not the right answers. The word “Lord” is not a name. It is a title that has been substituted by Bible translators for the actual name of the Heavenly Father. In fact, it is an inferior title to King or Ruler. The word “God” also is not a name. 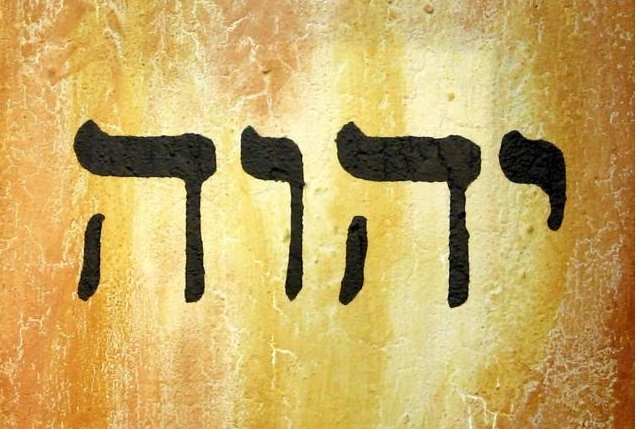 It is a generic term used for the Almighty and is a substitute for the Hebrew term “Elohim.” Since the translators have for the most part removed His Name, we must dig deeper to learn the answer to this important question. We will soon publish articles expounding on the inappropriateness of using the previous appellations in reference to Yahweh and Yahshua. Watch for them! All true translations of the Old Testament are based upon the Hebrew texts of the sacred Scriptures known as the Masoretic Text. This text is based upon ancient documents that were preserved and maintained by a group of Jewish scribes known as the Masoretes. The Masoretes sought to meticulously protect the exact wording handed down to them so as to maintain its purity for future generations. This important work began after the destruction of the Temple in Jerusalem in 70 CE (AD) and has remained up until today. Their work is the base for the majority of Old Testament translations. Knowing this, we need only look in the Hebrew text to learn how to answer the question. We learn that over 7,000 times the one true Name of the Heavenly Father is used. That name is Yahweh. This truth can be verified by checking various dictionaries and encyclopedias. Here are several examples. These are but three witnesses among countless others that verify Yahweh as being the true Name of the Heavenly Father as given in the Old Testament Scriptures. The Name of Yahweh was so highly revered by the early translators of the Septuagint (the Greek translation of the Hebrew text done in the third century BCE) that they preserved it in the Greek version. Remember the question asked in Proverbs 30:4 is “What is His Name?” Notice that it says name (singular) and not names (plural). This is because our Heavenly Father has only one Name and not many. Let us consider a few scriptures to verify this fact. It should now be obvious that our Father in heaven has only one Name and that Name is Yahweh. He was known by that Name to Moses and the patriarchs of old. He always has been and always will be known to spiritual Israel by this covenant Name. Even though the Name Yahweh is not found in the majority of extant manuscripts of the New Testament Greek text, it should be noted that Yahweh’s Name is referred to by the Messiah and others. Let us consider some of these references. We find that four times in the Messiah’s prayer in John chapter 17 that He refers to the Name Yahweh. The references are as follows. It is obvious from these references that the Messiah not only knew the Name Yahweh, He made a point of declaring it to His disciples. From the time of the Apostles to the end of the age the true disciples of the Messiah will place great significance on the Name of Yahweh. This can be seen clearly in the last book of the Bible, the book of Revelation. Those 144,000 saints who are with the Messiah on Mount Zion not only know the Name of the Heavenly Father and His Son, they also have those Names written in their foreheads. This is an indication that the Names are written in their minds. Once again we have unshakable proof of the great significance of Yahweh’s Name. What are you going to do now that you can answer the question in Proverbs 30:4 and you understand the great significance of the Name of our Heavenly Father? All sincere seekers of truth need to be aware that we are living in the end-times and that knowing and using the Name of Yahweh is vital to our salvation. In the difficult times ahead will you call upon the Name of Yahweh for salvation?